Creating contacts: The real objective of lead generation is to create a list of contacts, turned into an organized database, is used by the apparatus corporate marketing for market research, advertising activities targeted to high conversion rate and eventually resold. 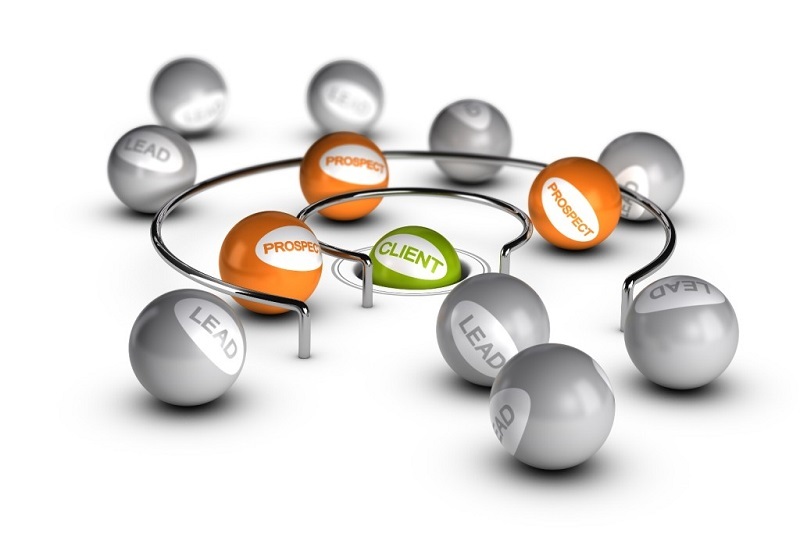 Lead Generation is the ancestor of word of mouth. It has been noted in recent years a growing interest in deepening the theme of what is really meant by Lead Generation and above what it’s for. All part of a big change in the market: it has gone from a time when companies were going to search for users to entice them to buy something, at a time when the users themselves to go in search of products that serve mainly on the web. This change of users, who have replaced a passive attitude with a decidedly active, responding to the new requirements that have emerged in recent years: they are much increased online sales, a phenomenon previously restricted to certain countries and certain social classes, now affordable for all. Although some users (especially those later with age) still harbor a certain distrust in buying over the Internet, and in general to all forms of direct negotiations mediated by a screen, now the store and online interactions have spread wildfire. The Funnel is a very simple and straightforward method to understand how the web marketing. At the top of the funnel are the user visits, content obtained through simple and immediate consultation? When you have gotten enough traffic latter is directed to content that serve to generate Lead. These still follow more engaging content that are able to transform Lead in prospect. At the end of the funnel are those contents, and the coupons are an example, which create the store. As long as a user wanders undisturbed for web, it remains an anonymous user. Although your every move was being recorded and somehow channeled to a very large acquisition process, that user will not be a Lead, at least not until you have done something else. A Lead is an expression of interest, after the mere consultation, which can identify an anonymous user as a prospective customer. I click on a Call to Action, I can become a Lead (just think of the monitoring pixels); I enter my data in a newsletter, can I become a Lead; Fill out a form to receive information about a product or service, have a Lead; purchase a product, I have a lead, are also a customer, but it sure are a new lead for other similar products; a Lead is a number within a database that describes the audience potentially interested in becoming a client, a Lead is a link directly usable to reach the sales or valid to identify and define a large number of new Lead: as in the case of Retargeting. The time between the visit on the website and the actual purchase is long enough, it can take months before a user is persuaded to buy the product. Remarketing is a type of online advertising that allows you to “follow” users based on their previous research and actions on the internet, if it is not carried out the sale of the product they had tried. It’s just the Remarketing that cannot only increase conversions, but may be useful in expanding the target audience, and in the generation of new Lead increasingly convertible. A good Remarketing strategy is the basis of a Lead acquisition campaign that wants to contain costs and, so to speak, to play it safe. Suffice to dwell on details of any advertising campaigns Remarketing or not and see the differences CTR between the one and the other. Referring to Lead Generation, you would, in the first case, the “cost per lead” significantly lower than the latter resulting in the possibility of optimizing the budget of public potentially already interested in our offer. Lead Generation is a winning marketing system because it does not just create new users, but of possible customers that most likely will buy the products or services of the company that uses this system. Compared to past market strategies, they had a one-sided relationship since favored only the needs of the consumer or the company, the Lead Generation has a very innovative approach because it is a winning strategy both for the consumer and for the company: the consumer does of requests and get back the desired information while the company communicates directly with your target audience. 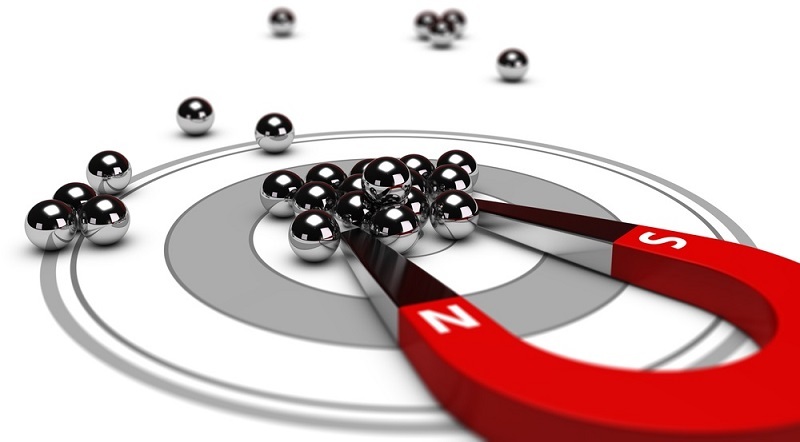 The real novelty of the Lead Generation is aiming to offer a list of target contacts with a large probability of conversion. Its purpose is not limited to just selling, but focuses in creating long and lasting contacts with potential customers. This is because over time has also changed the buying mode, users are used to being bombarded with communications, promotions and sales requests. The Lead Generation manages to be a winning strategy because it begins with a screening of contacts, up to keep only those really interested in the product or service offered by a company: is able to increase profits by sending promotional messages to users already minimal interested, rather than sending them to an infinite number of users you do not know the degree of interest. Once you have your contacts, it takes over the difficult phase of Lead Nurturing: at this stage trying to create a close relationship of trust with the prospective client, striving to know and understand their needs. Identify the stages of the buying process: Users are not all equal; everyone has their own time to decide, as well as to buy. We must learn to distinguish user feedback, analyzing their interactions to the messages of the company, trying to figure out the degree of interest and participation. This can be easily monitored through email marketing programs that allow you to control the opening rate of the sent email and the percentage of people who have opened the link included in the email. In doing so the company can improve its targets and its communication. Transform customers into promoters of the company: whether the customer will be satisfied will become a useful means of word of mouth to friends and acquaintances. If a company manages to find a way to structure this word of mouth it is still more easily get in touch, this is because the company is referenced by its own customers (there is no better advertisement than a satisfied customer). As well as lead generation, lead nurturing is not even a collection of certain indications that convert immediately: It needs your time to be able to give the best fruits. The contact must be fed, educated and must be conquered interest until he feels ready to buy. Using Webinars: Webinars are online seminars, held by a company on particularly important topics for the latter. They are very useful in the lead generation because it enables them to establish a real dialogue with the users, who can intervene during the conference and ask questions. Depending on the type of applications, the company also fails to realize the needs of users, trying to meet them will be able to turn them into future customers. Enter a simple contact form: It was repeatedly noted that users are more willing to fill out a contact form simple rather than one filled with fields. To overcome this problem, you must create a contact form that has only the required fields such as name, email, contact reason. Lead Generation in the contact between company and user must be as smooth as possible. All these strategies are indirect ways to increase traffic to a website. But what creates the Lead are the people who sign up to the site and who leave their data; to ensure that this happens you use the so-called Lead Magnet. The Lead Magnet are informative material or of great interest to study the users who receive them; they have the most diverse forms, often of the eBook, PDF guides, infographics, videos or free webinar. The type of Lead Magnet varies depending on the target of the company, the product sector and also on the basis of availability. The most important thing is that the result is qualitatively positive because they are investments that makes a company to receive a great gain: the Lead. 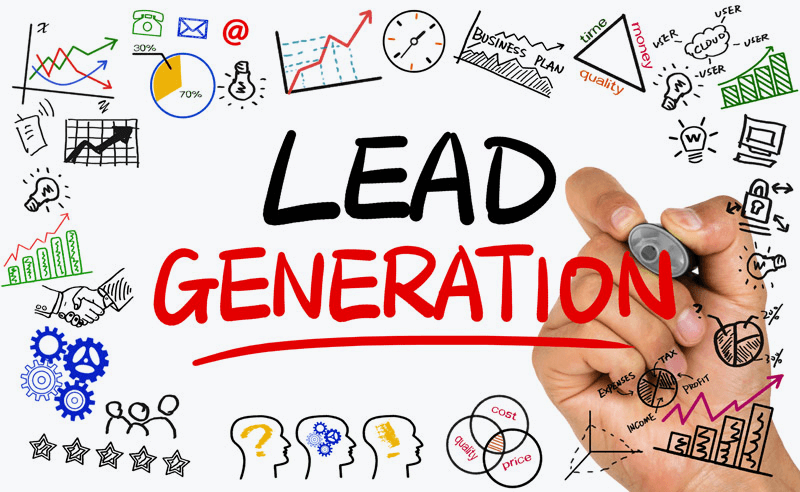 As can be seen from this list of strategies inherent in Lead Generation, the latter is a loyalty path with a huge advantage: more than the purchase itself, it offers the possibility of generating additional lead and then even more purchases made from contacts qualified and durable and not subject to time. The Lead Generation brings with it numerous benefits, but to be able to implement necessary that the conditions are met. These include the Lead Generation should require minimal effort to run and maintain, after the starting period. A key factor that allows a good result of the Lead Generation is the Landing Page, literally the landing page. The Landing Page are the engine of the Lead Generation machine, it is thanks to these pages that can convert site visits in Lead, by filling in the form. Place Call to Action visible and clear. It was also found that the importance for users pages Thank You (or thank you page), those that open at the end of a sign-up process. They have a double meaning: both serve to make it clear to the user that the registration has been successful, but also and above all, make you feel pampered and considered that its contribution was very valuable. The Landing Page is not to be confused with the classic homepage of a website: the difference lies in the fact that the Landing Page is created with a specific purpose, as opposed to the homepage, which is the home page, the presentation of the logo. It is constructed usually with links that lead to other areas of the site that unfold the various business activities. The homepage is created with the idea of ​​encouraging the exploration of the site, as opposed to the Landing Page, which has a single purpose, and do not want to encourage anyone to abandon it until you have typed in your information. You may also like to read another article on heygom: Overcoming Objections in the Sale: How to do? In the Landing Page must clear the message you want to send: to message match means the consistency of the message, i.e. the effectiveness of the landing page in the strengthening and completion of the message presented in the clicked link to reach that same page. Call to Action: A decisive slogans with words like “free” that they always have a certain effect, it’s impact and make the customer understand that he had found what he was looking for. In creating, a Landing Page must always bear in mind the user. It is this last fact to decide whether the Landing Page takes effect and that is why it is to be involved, you have to suggest any modifications or changes. For this reason it is useful to include a forum, a section for comments or even one evaluation scheme so that its voice is heard and that they are correct those features that did not help the effectiveness of the Landing Page. Also on the web, it is to have the customer is always right and in virtue of its inalienable right must always be heard. 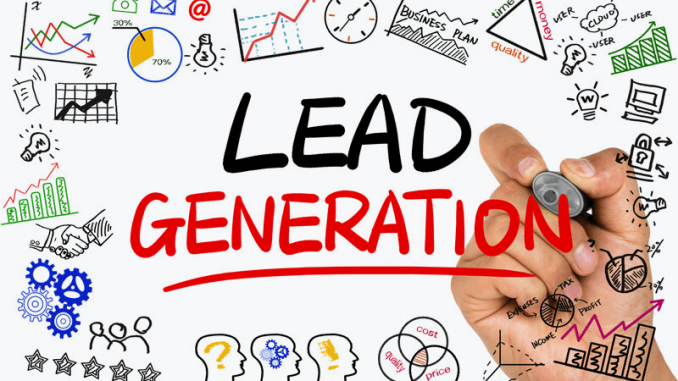 The Lead Generation system must be able to obtain important data on Lead, such as names, email addresses and also be able to understand the real interest of the users. Another important factor is the trust that users have in the company and in the products or services it offers; this trust is created during the Lead Generation process and then allows the conversion from a client user. Without trust, Lead generation could not exist. The value of the residual that is the average amount of total sales that each new customer brings. The Lead Generation not present any kind of drawback: it is a very valuable marketing strategy and can offer excellent results over time. As in any other field, to be successful you need the consistency. When using strategies such as the Lead Generation, you cannot have the silly claim to immediately see the benefits of a system that needs its own time (or rather, the user time) to blossom. What we can guarantee for sure, it is that regardless of the type of company, the type of product and the type of service you plan to offer, once proven this marketing strategy will not regret it. Lead Generation is undoubtedly a fundamental element in a wider marketing strategy.